I've really been digging these white cameras lately. 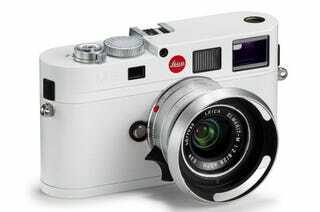 Pentax's cookies 'n' cream K2000 and now the decidedly more luxe limited-edition Leica M8. If you have to ask how much it costs, it's not for you.